International Finance Corporation (IFC) of the World Bank Group will host a conference titled "Innovation Day: Korea's VCs/Startups and Opportunities in Emerging Markets" at Diamond Hall of Coex in Samseong-dong in southern part of Seoul on Dec. 12 (Tuesday), 2017. The "IFC Innovation Day" conference will start at 2 p.m. on the day. However the on-site registration will continue between 1 p.m. and 2 p.m. At the end of the conference a networking dinner reception will be held 6:30 p.m. on the day. Mr. Pravan Malhotra, and Mr. Giri Jadeja from World Bank Group's IFC will come to Seoul and will join in the conference in Seoul. 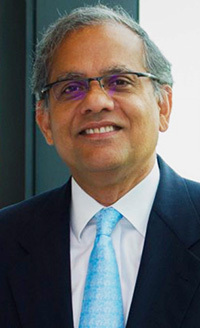 Mr. Giri Jadeja, head of IFC's Financial Innovation Team, will deliver the opening address. He will also make a presentation will speak under the title of "The Expansion of Digital Economy to the Developing Countries: Its Influence and Opportunities." Mr. Pravan Malhotra heads Internet Investments in Asia for the UFC's Venture Capital (VC) team. IFC is a member of the World Bank Group. "Fireside Chat: Cooperation with IFC — Perspective of Venture Capital Investor." Prior to Mr. Giri Jadeja's opening speech IFC's South Korean representative Mr. Park Joon-Young will make a welcoming speech at 2 p.m. right after the registration. Mr. Park was appointed as IFC's resident representative in April I, 2016. Ever since he is responsible for IFC's engagement with South Korea and and in charge of managing IFC's presence in Korea. As a moderator Mr. Park will preside over the Session II of the conference which will proceed under the title of "South Korean Start-Ups and Advancement of Ventural Capitals into Developing Countries." Mr. Giri Jadeja will take part in the Session II together with four other panelists. Currently, he is the global head of IFC's Financial Innovation based in Singapore. He entered IFCin 1995. A number of South Korean financial officials and experts including presidents of the finance-related companies and institutions will also take part in the one-day conference in Seoul's Coex. sister organization of the World Bank and member of the World Bank Group. IFC is the largest global development institution focused exclusively on the private sector in developing countries.